Jo Malone is such a cult beauty brand, but until recently, I’d never sampled anything from the brand but I’ve lusted after their Colognes for a very long time. Jo Malone are a luxurious British perfumer with truly unique fragrances that you’ll never find with other brands. Not only are the fragrances known for their individuality, their beautiful packaging and attention to detail makes them even more special and a lot of brides now choose to wear a Jo Malone Cologne on their wedding day or special occasions such as a prom. I was really excited to try the Jo Malone Wood Sage and Sea Salt Cologne as it was my first ever Jo Malone fragrance. 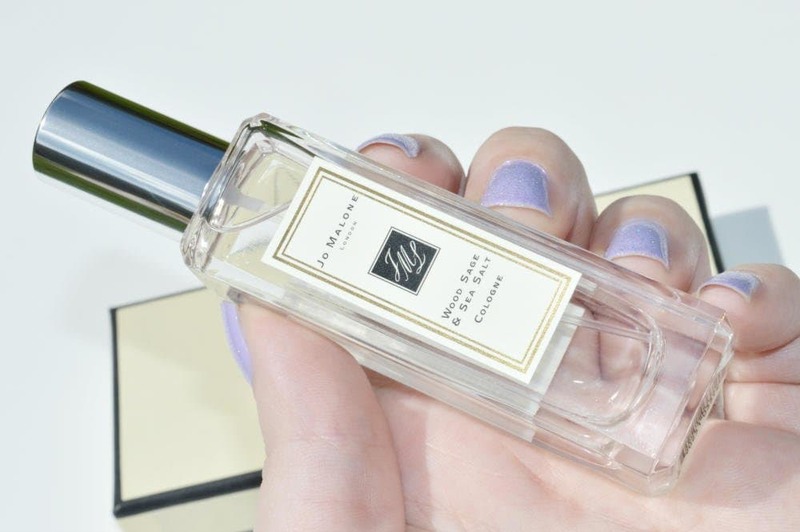 I was so excited to get my hands on the Jo Malone Wood Sage & Sea Salt Cologne 30ml £40, as it launched back in September of last year and I remember reading endless rave reviews. Wood Sage & Sea Salt was created to evoke the feeling of pleasure, freedom and escape into nature, inspired by the unique character and quality of British beach and was inspired by its rugged cliffs, the salty air, sea grass and driftwood. What surprised me the most, with Wood Sage & Sea Salt is how simple its notes structure is; with top notes of Ambrette Seeds, heart notes of Sea Salt and base notes of Sage. 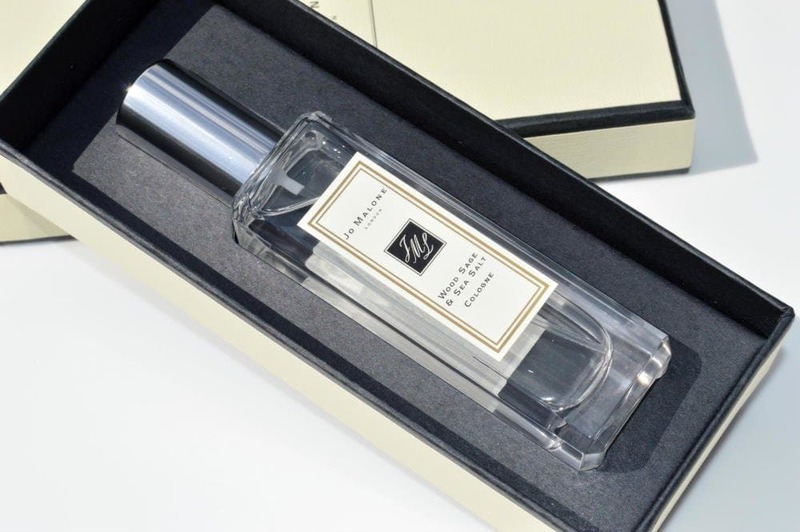 The packaging of the Jo Malone Colognes is truly special, with the glass rectangular bottles being packaged within a cream and black gift box complete with a ribbon; they really would make for a decadent gift. I really love the simplicity of the packaging, and design as it just exudes luxury. When it comes to fragrance, I tend to lean towards woody or sweet scents so I was intrigued to try the Jo Malone Wood Sage and Sea Salt Cologne as it’s just no different to anything in my fragrance collection. When I first spritz the Jo Malone Wood Sage and Sea Salt Cologne on my skin, I can instantly detect a strong citrus scent which is a little acidic at first but it softens quickly and within a minute, the initial acidity subsides and the citrus softens. I think Jo Malone have done an incredible job with this fragrance, as it literally does smell like sea air and it brings back so many happy childhood memories of playing at the beach. I find it to be quite a fresh, crisp fragrance that reminds me of clean laundry that’s been air dried on the washing line on a windy day; that amazing fresh, clean and comforting scent. This is definitely a unisex cologne, and it smells a lot more woody and earthy on my other half than it does me and becomes more aquatic, which I find fascinating, that the scent transforms so much on female and male skin. Have you ever tried a Jo Malone Cologne? Which is your favourite?